Reddit is so popular that even counting the number of views posts get provides an interesting technical challenge as explained here. The founder of Hashicorp and creator of Vagrant gave an 18 minute talk on the challenges of scaling with security and best practices to do so without compromising developer speed. Developers on Hacker News and Reddit were surveyed as to what tools they use. 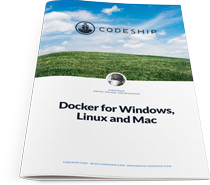 Docker and Ansible led the way in provisioning, EC2 in cloud providers, and CloudWatch and New Relic in monitoring. Sachin Kulkarni, director of engineering at Facebook, explains the engineering challenges for Facebook Live in a 30 minute interview. How the availability of critical dependencies informs the availability of a service, and how to design in order to mitigate and minimize such dependencies. Use Kubernetes? Want a deeper understanding of how it works? This series starter is worth a read. As defined in RFC 6749. This blog will provide walkthroughs of 2 integrations with API platforms: Stamplay and Built.io. It’s not just about servers, but the humans who maintain them too. How to efficiently deal with the human element, when complex systems fail. 15 minutes. A practical 84 min walkthrough, including using Microsoft Cognitive Services for AI. A tech lead explains a transition from an architecture based around Amazon’s Simple Workflow Service to using Step Functions. An argument that a “better alternative to client-side analytics is server-side analytics”.